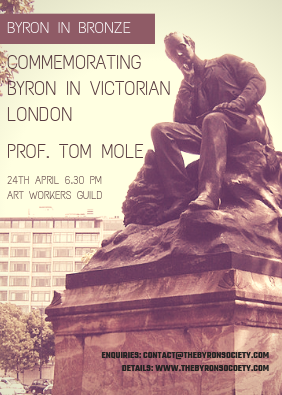 The Byron Society Lecture in association with the Institute of English Studies, University of London. Professor Sir Drummond Bone: Byron and the Romantic Mundane Free public lecture at 6 pm followed by a drinks reception. Taking place at The Beveridge Hall, Senate House, University of London, Malet Street, London WC1EW 7HU. 6pm – 8 pm. It is a free event and open to all comers. If you wish to attend please notify ISEEvents@sas.ac.uk or phone 020 7862 8675.